This system is more accurate than manual scales. 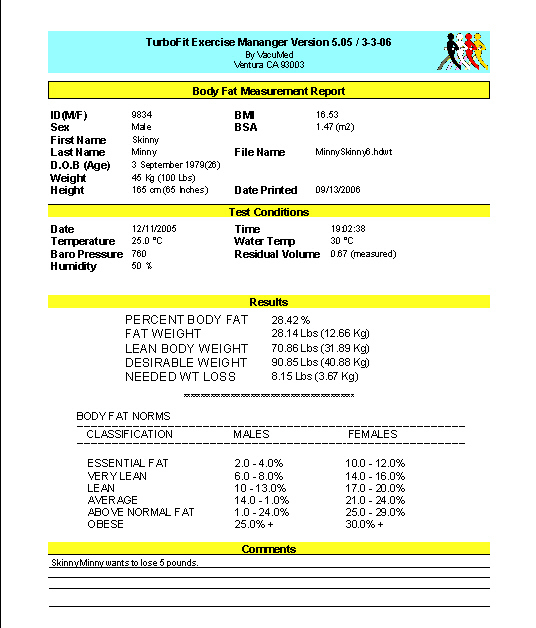 The software produces a report that you can give to the test subject. 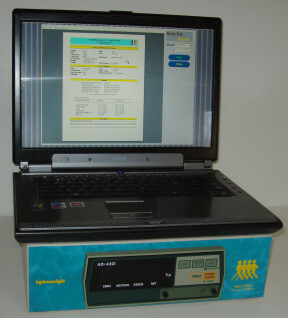 This electronic weighing system may also be used to upgrade existing hydrostatic weighing systems. Click here to open a PDF file. Must specify 110V or 220V. Software operates by receiving data automatically via the RS232 interface from the Loadcell Indicator or by entering underwater weight manually. Accepts input of measured residual volume or enter Vital Capacity and software will calculate an estimate of Residual Volume. A selected number of weight entries may be averaged. Software runs on Windows xp or Win 7 (32-bit).